This salt is used for many types of money drawing divination rituals that are aimed at producing more wealth, prosperity, financial success or business in general. 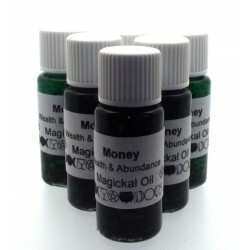 It can also be used in rituals for debt, loans or even seeking employment or work promotions. 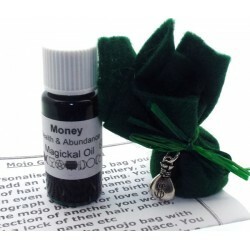 Money Bath Salts can simply be used as an overall bath soak or they can be used in a spiritual bath ritual. You may also throw a bit in the washing machine or put some in a bucket of warm water to use as a floor wash. Floor washes are often recommended for the work or business environment. When performing a wash, always start at the back and work your way towards the entrance. You also want to be mindful that as you wash you draw the strokes towards you as if you are literally drawing money towards you. A 100gms pack of bath salt.